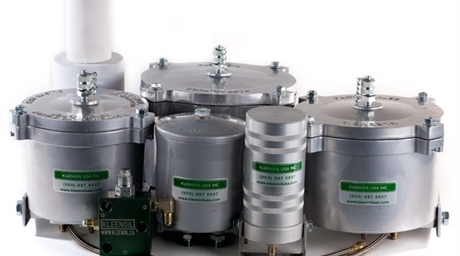 Kleen Pacific LLC is the only Premier distributor for the Kleenoil Bypass Filter System in the Pacific Northwest. The Kleenoil Bypass Filter System is a bypass oil filtration system that passes only a small portion of the total oil flow through a very dense filter cartridge at about 2 to 3 quarts per minute. The Kleenoil Bypass Filter System is effective for internal combustion engines, hydraulic applications and automatic transmissions in the construction, trucking, oil field, transit, hydraulics, marine, OEM, mining, military, city-municipality-public works, agriculture, automotive, and power generating industries. BioMatrix Emergency Oil and Chemical Spill Response! The Kleenoil Bypass Filter System removes particles down to 1 micron (3 absolute), removes 99.95% of all water, greatly decreases engine wear and prolonging oil life. Kleenoil can eliminate water and particle contamination, extend oil life up to 5 times and hydraulic oil up to 10 times, reduce engine wear and component wear, dramatically reduce downtime, remove particles down to 1 micron (3 absolute), and is applicable to engines as well as hydraulic systems. SAVE MONEY AND RESOURCES WHILE BEING ENVIRONMENTALLY CONSCIOUS! The Kleenoil Onboard Oil Recycling System is installed in a bypass loop. The oil will be finely recycled and any water removed, as the equipment is operating. As a result of this process, the oil is maintained in a clean useable condition, dramatically changing any oil drain interval. 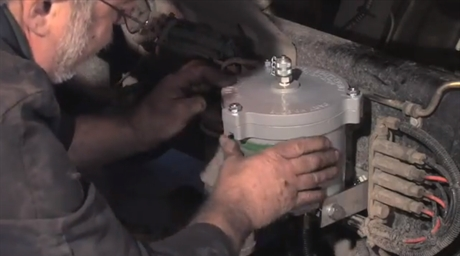 "The Kleenoil bypass filtration system allows us to better maintain our fleet line of vehicles by reducing down time, mechanical failures, and oil consumption. In turn, saving us valuable time and money!" Scott Glasque, Alamance Glass Inc.
"We currently have a third of our 100+ unit fleet installed and intend to fit to all of our equipment with Kleenoil. These units are easily installed and have already paid for themselves. We have cut oil consumption by 80%. We now have peace of mind knowing that our engines are running on the cleanest oil possible and we are enjoying the greatly reduced costs of running Kleenoil, and we are now a 'Green Company'." Want to get more information about our products and services? Contact Kleen Pacific at (253) 249-7252 or by email at info@kleenpacific.com. We are happy to answer any questions you may have about the sale or installation of any of our products. We look forward to hearing from you! The Kleenoil Bypass Filter System is a bypass oil filtration system that passes only a small portion of the total oil flow through a very dense filter cartridge at about 2 to 3 quarts per minute. At this speed, it is possible to remove particles down to 1 micron (3 absolute) and remove 99.95% of all water, greatly decreasing engine wear and prolonging oil life. Kleenoil can eliminate water and particle contamination, extend oil life up to 5 times and hydraulic oil up to 10 times, reduce engine wear and component wear, dramatically reduce downtime, remove particles down to 1 micron (3 absolute), and is applicable to engines as well as hydraulic systems. 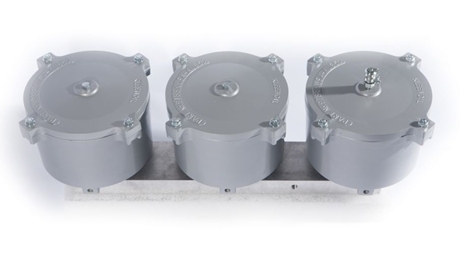 The Kleenoil filtration unit is made of cast aluminum with a galvanized steel mounting bracket. There are five basic sizes, which are installed according to the applications table below. It is connected to the engine lubricating oil circulating system in a bypass loop using high pressure braided hose and fittings to SAE standards. 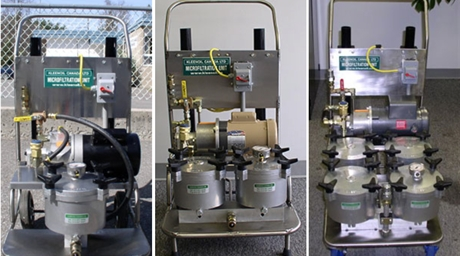 Kleenoil Mobile Filtration Carts are used as a multi-purpose fluid cleaning and transfer machine. It is ideal for cleaning most hydraulic, gear, and transmission fluid reservoirs and, because of its portable design, the unit can be used for fuel tank purging on trucks, construction equipment, and boats as well as for oil and fuel transfer and rotational cleaning of factory and industrial equipment. 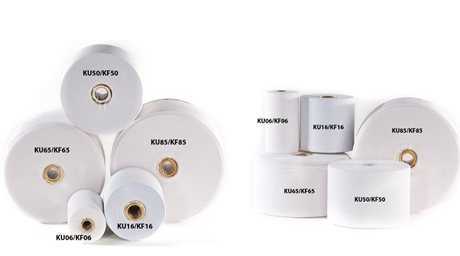 The specially designed Kleenoil filter achieves an ISO 4406 Cleanliness Code of 14/9: well below the original standards of the equipment’s original manufacturers and distributors. By filtering particles down to one micron, the Kleenoil Mobile Filtration Carts minimizes the amount of dirt and debris within a machine and, as a result, will dramatically cut down on repair and maintenance costs. The Kleenoil Bypass Filter Cartridge will remove particles down to 3 micron (relative) and totally remove water. The principle for filtering particulate matter is ‘liquid liquid chromatography’ which is in effect allowing a fluid to drain down a surface which will progressively arrest particles. This is achieved by having the tissue rolled on a core. Oil is passed up the core of a paper roll where it collects in a cavity between the lid of the filter housing and the paper roll.It is then forced down between the layers of the tissue where particles are adsorbed within the matrix created by millions of cellulose fibers which form the tissue layer. The principle for filtering water is capillary absorption into the hollow vegetable fiber of the cellulose tissue. The molecular structure of the oil is to large to be absorbed ‘capillary action’ in to the fibers, however the water is absorbed into the fiber and separates from the oil. The Kleenoil Bypass Filter Hydraulic Block is mounted to the bottom of the Kleenoil Bypass Filter System to convert the lower pressure bypass engine oil filter to a high pressure hydraulic fluid filter. 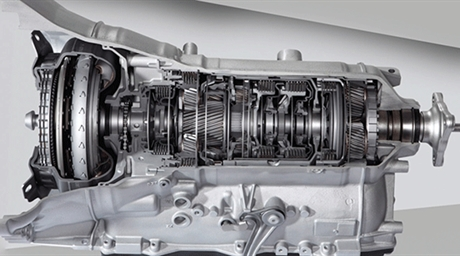 A dramatic reduction in component wear (seals, piston rods, pumps, etc). A reduction in the incidence of sticking and worn valve components. Extended life of in-line filters. An end to the need to change hydraulic fluids. 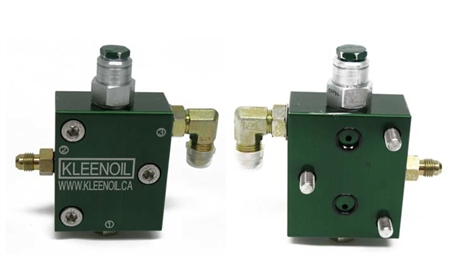 We now offer (2) and (3) Kleenoil Bypass Filter system aluminum manifolds for clean, multiple unit installations. These are made out of aluminum and have several inlet and outlet options on the edge of the units to allow convenient hose options. They simplify installations where you can get away with only a single inlet and outlet hose.There is a also an installation drilling templete available with precise drilling hole positions to make installation easier and no guesswork as far as where to drill for the mounting bolts. Genesis is the world’s only pure synthetic ceramic metal treatment proven to substantially decrease friction and reduce damaging harmonics and wear in the engine and transmission, in comparison with operation on oil alone. Genesis utilizes ceramic technology "SiC” to form a micro-ceramic seal on all metal parts within your engine, preventing the formation of performance degrading sludge and abrasive carbons. Genesisis a one-time advanced metal treatment that protects metal parts within your engine, transmission, gearbox and anywhere there is a need for surface enhancement and protection. Genesis will restore lost power to your equipment and give you peace of mind.Genesis utilizes a Ceramic Lubrication Catalyst, which is carried by the oil and is not a normal oil additive. It is also not a replacement for your oil. Please contact us at (253) 249-7252 or by email at info@kleenpacific.com. 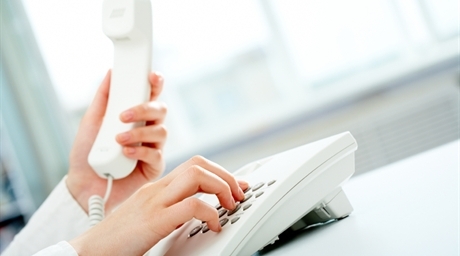 Kleen Pacific offers a wide range of packages and custom options to fit your needs. Our products are designed for use on marine vessels, construction equipment, commercial trucks, farm equipment, transit (e.g. busses), as well as other automotive and equipment. Be sure to ask us about the Kleenoil Onboard Oil Recycling System. Washington State; Oregon State; all Islands in the Aleutian West County; Aleutian East County and Kodiak Island Borough County. Contact Kleen Pacific at (253) 249-7252 or by email at info@kleenpacific.com. We are happy to answer any questions you may have. We look forward to hearing from you!